The Tampa Bay area has a rich history and local Realtor Sandy Ernst has gained an extensive understanding of the area’s background and growth over the years. Here Sandy shares a glimpse into the history of Tampa’s annual Gasparilla Pirate Parade and its continuing impact on the Tampa Bay area. 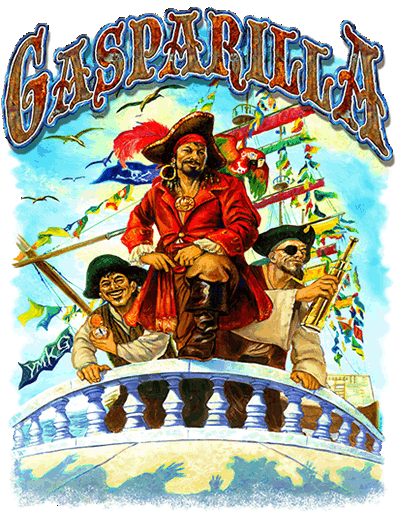 Tampa’s very own Gasparilla Pirate Festival has been celebrated almost every year since 1904. Hosted by Ye Mystic Krewe of Gasparilla in conjunction with the City of Tampa the festival celebrates the legend of José Gaspar (also known as Gasparilla), a mythical Spanish pirate who supposedly operated in Southwest Florida during the early 1800s. A society columnist with the now defunct Tampa Tribune newspaper is credited with creating a May festival in 1904 that first incorporated a pirate-inspired theme. The original members of Ye Mystic Krewe of Gasparilla stormed Tampa on horseback before taking to the water in boats in 1911. The success of those early “invasions” also prompted planners to move the celebration to its winter time slot and encouraged the creation of additional events. Today, the Gasparilla Parade of Pirates is a friendly “invasion” led by mythical pirate José Gaspar and his crew where a flotilla of hundreds of boats follow the José Gasparilla, a 165-foot long pirate ship which was specially built for this purpose in 1954, to sail across Tampa Bay to downtown Tampa. Once the ship lands, the pirate captain demands that the mayor hand over the key to the city in a playful ceremony which can have different outcomes in different years. But, whether or not the mayor actually “surrenders”, the pirates hold their victory parade down Bayshore Blvd. and through the streets of Tampa. In addition to the main Parade of Pirates, smaller parades are held in the weeks before and after. The family-friendly Gasparilla Children's Parade, celebrated since 1947, is generally held the Saturday prior to the main parade in downtown Tampa or along Bayshore Boulevard. The Sant’Yago Illuminated Knight Parade, also known as the Gasparilla Night Parade, is held in Ybor City about two weeks after the main parade. And Tampa area schools and businesses take a very active role in the festivities. Local high schools and universities showcase their marching bands, majorettes, and drill teams while local businesses and organizations form Krewes and participate by decorating and riding on elaborate floats to join the parade by throwing beads, coins, and more to the crowd. The average crowd at the main parade totals more than 300,000 people, with more than one million people attending at least one Gasparilla event around the Tampa Bay area. According to several studies, recent Parade of Pirates events, now the third largest parade in the United States, has a local economic impact of more than $22 million, and the combined Gasparilla events bring in more than $40 million. Be sure to check back as Sandy continues to share her extensive knowledge of the Tampa Bay area.